Bungie has announced that it will be launching a collectors edition of its latest game in the Halo series, Halo:Reach which is going to set you back $150. There will be two collectors editions of Halo:reach available a Limited and a Legendary edition. The Limited edition comes with an exclusive set of Elite armor for use in multi player play, an artifact bag that features a copy of Dr. Halsey’s personal journal and a few other documents. The Limited edition will retail for $79.99. 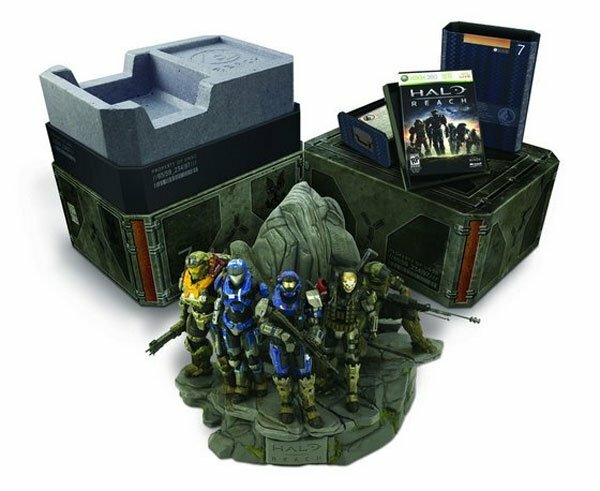 The Legendary edition, which retails for $150 comes with everything in the Limited edition, plus a 10lb statue which was created by McFarlane toys, and some UNSC themed packaging and an exclusive Spartan armor set. There are no details on the exact release date as yet although they are expected to be available some time this fall when the game is released.